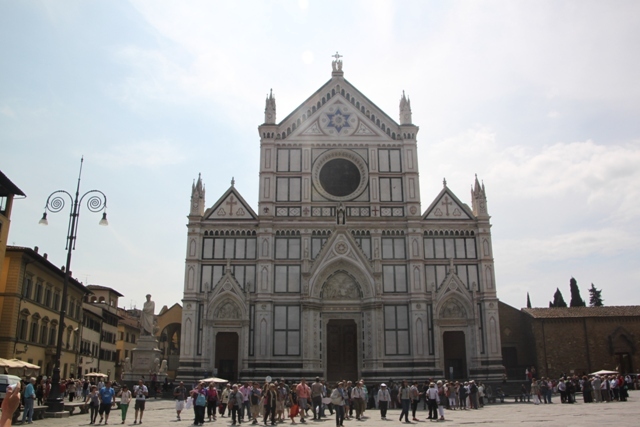 We missed out Santa Croce church on our last Florence forray – I was determined not to this time. Son wasn’t overly keen on the idea, he’d had his fill of churches and quiet places but we compromised with the promise of (more) pizza and gelato afterwards. A done deal. The church was easy to find and most importantly no entrance line at all. We paid the 6 Euro fee and went straight in. It is known for its frecoes (which are very impressive) but my fascination was with the dead people. Those buried here read like a roll call of Renaissance heroes. You can’t walk through the place without stepping on tons of tombstones and stopping to look at different marble monuments. Most of the names on these are instantly recognisable. We found the tomb of Michelangelo – ornate and fancy, he picked this spot stating that on Judgement Day when the graves of the dead fly open, the first thing he would see through the open doors of the church would be the magnificent cathedral dome. 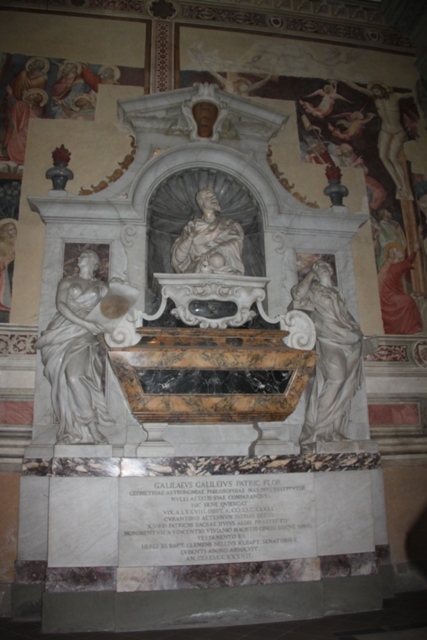 Just opposite this was the tomb of Gallileo – he wasn’t granted a Christian burial until a hundred years after his death because he claimed the earth was not the centre of the universe. Lots of interesting stories and anecdotes about every tombstone, even Son had to confess an interest and found himself drawn in. 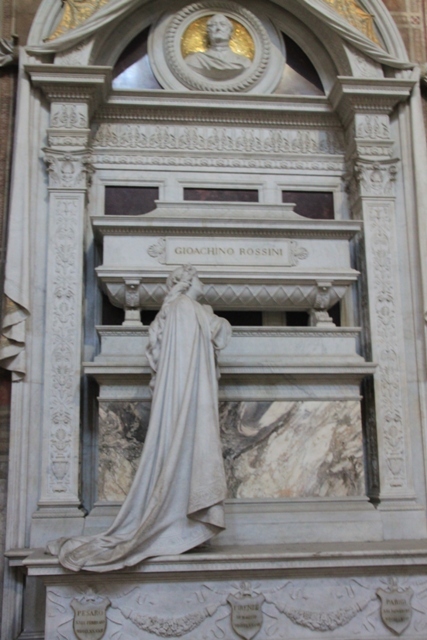 We located the tomb of Machiavelli and just across from that the tomb of Rossini. You could just go on and on here, it has to be seen to be believed. Outside we did stroll a little around the cloisters – peaceful and serene but Son was not so we didn’t linger. Not far from the church around the back of it is the leather school – definitely worth a visit. Free to enter through a gorgeous little courtyard it is a beautiful setting, an interesting place and you can pick up some nice quality leather souvenirs. 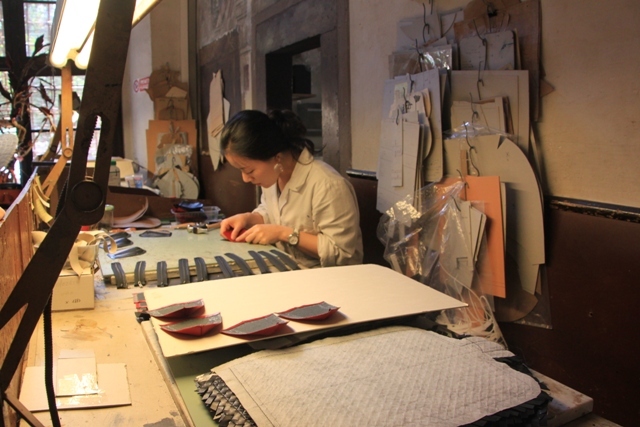 We watched artisans at work, wandered amongst the smell of leather and loved it. You can buy some great hand-made pieces, Husband left with a made to measure leather belt complete with his initials. 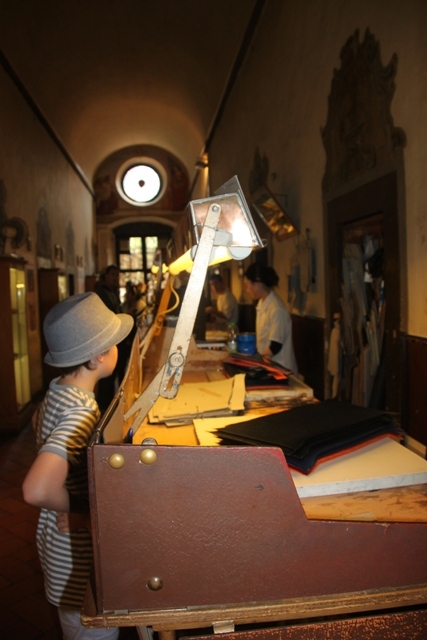 Son, not one to be left out where a gift shop is concerned selected his own Florence souvenir – a blue leather book mark. Happy with our purchases we left in search of that pizza and gelato. I confess to having a slight obsession with historic graveyards, cemeteries and crypts so this would have been right up my street. Your photo illustrations are lovely and are giving me itchy feet. I am exactly the same – you can’t beat a good crypt! Something about those places really draws me in – here just about everywhere you looked there was somebody so famous, it was mind blowing and such a great place to visit. Really recommend the church – a great place to visit and learn about all these incredible people – young and old alike in our family were educationally enlightened here!! Pizza and gelato always works! I loved it here too – so fascinating with all these incredible people buried in this spot. 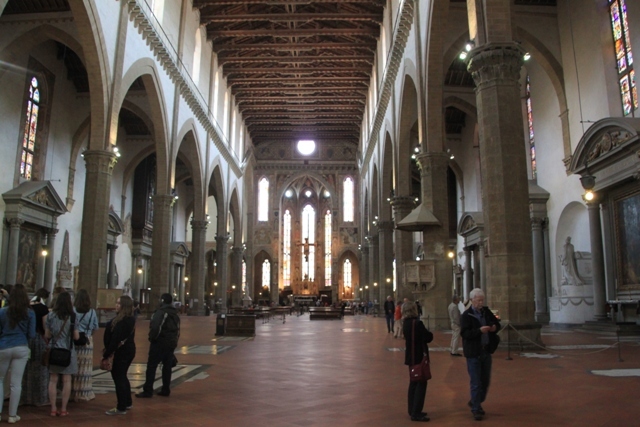 We were so impressed, can’t believe this church wasn’t on our radar last time in Florence. 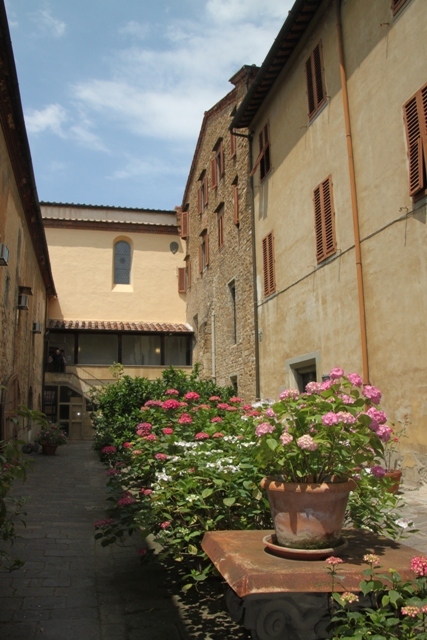 The Florence apartment I have rented is very near Santa Croche. 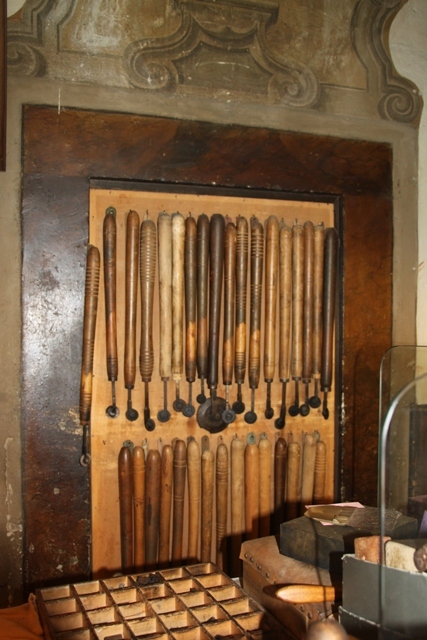 Thanks for the tip about the leather school. 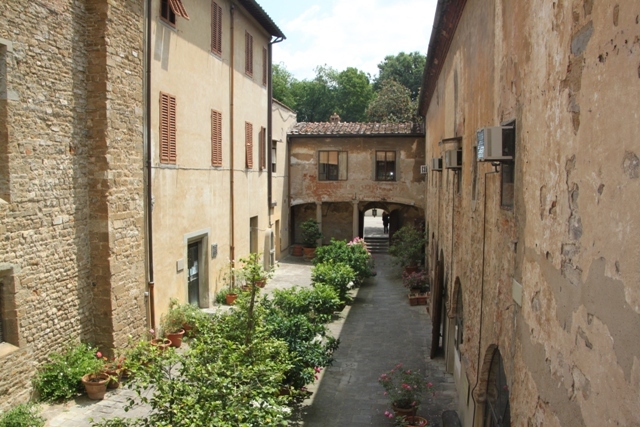 Sounds like a great location – perfect to be able to walk everywhere in the historic area! 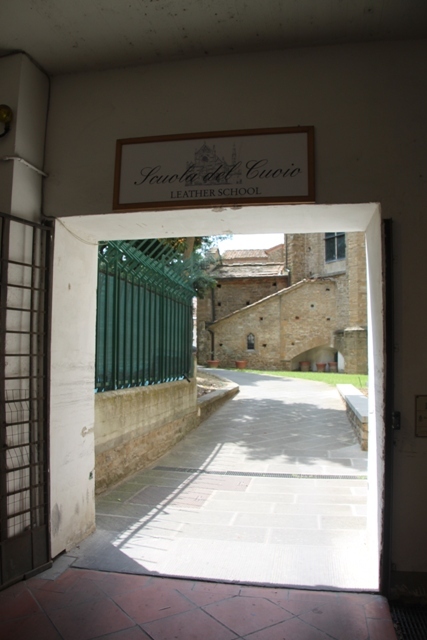 The church is wonderful and we were so glad we dropped into the leather school – something a bit different and some nice souvenirs there too. I wish we had visited on our last trip to Florence. This was on our “to do” list, but we didn’t make it. It definitely sounds like a must do experience so we make time next go around. Thanks for sharing! We left it out too last time we went to Florence. Still, gives you a good excuse to go back there!! It’s definitely worth a visit, so much so see and so many incredible people buried there. Galileo and Michelangelo under one roof! Too cool! I want to go so badly! I know!! A bit weird to get so excited over tombs and tombstones but I did – it’s that kind of place! Looks like a very interesting place to visit. Great photos. It’s absolutely fascinating – full of amazing things to see. I was just thinking about that myself Rosemary – the males in the family dominated that trip to the leather school and took so long selecting what they wanted my needs got somehow overlooked!! Still, a good excuse to go back someday! Absolutely Joy perhaps they made leather handbags? You will definitely have to go back and see! I also visited this site and had the same feeling! Def worth the time and it was fascinating to walk around and see all the historical figures resting here. It’s amazing when you think of all these historical greats buried in this little church – a special place for sure. Yes, the dead people top it all (though some in our house would say the gelato did it for them!!). Was is really worth the 6 euros ? Do you have to pay to visit all the churches over there ? It was really worth it for me – but then I have a fascination with these Renaissance greats so was very excited to find all their memorials in this church. You don’t pay to enter the cathedral in Florence but then most people buy a ticket to climb the tower and you do need a ticket for the Baptistery, the cathedral in Pisa was free to enter too so seems it depends on the church. We’re quite used to paying to enter some major churches in this country – Westminster Abbey, York Minster etc.. They don’t get any financial help from our government and have massive maintenance bills, they say the only way they can keep the places running is to charge entrance, if they ask for donations a lot of people tend not to pay. 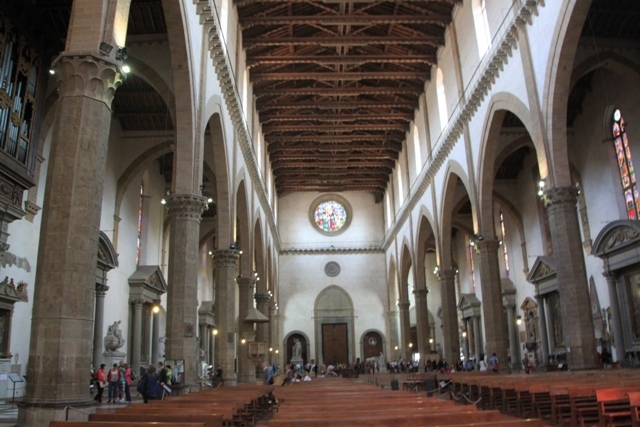 The big benefit about an entrance fee to Santa Croce though was the lack of crowds – the cathedral was so busy, this church was not and the atmosphere was so much more reverent and special. It’s a tricky one – I do think churches should actually be free to everyone but if that’s the only way they can cover the running costs….. We never went inside the cathedral in Bruges or Ghent when we visited in the summer, maybe that was a good thing? It was old and dusty and I really wondered where the money was going. Maybe for external maintenance.. who knows. The outside is pretty good. I always enjoy reading your posts. 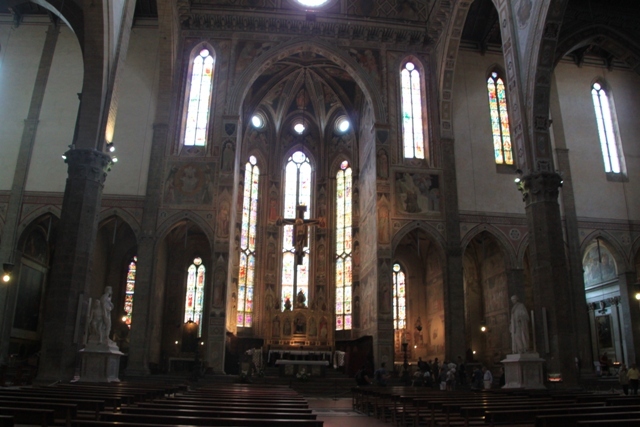 We missed this church on our Florence visit but I think this is a definite reason to return. I too am fascinated by crypts, tombs, cemeteries, etc. Thanks for the great read. Thank you! We didn’t come here on our last trip, it just didn’t seem to be on my radar but I was so glad we did see it this time. So many incredible people and their memorials in one place, it was so memorable and I would highly recommend if you find yourself back in Florence.